This is an Ekphrastic poetry project! Twenty poets respond to twenty different photographs taken by Tennessee writer and photographer, Terry Price. The project is part 2 of a 5-part project that will include 100 poets and 100 photographs. The photos and poems are presented side by side. 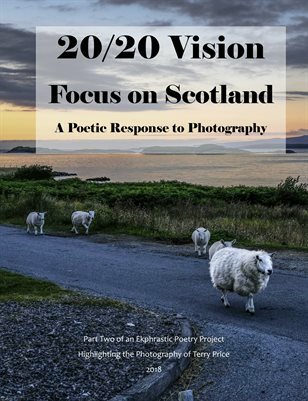 Readers are invited to take in the photo and poem visually, mentally, and emotionally, thereby producing a multifaceted experience. In relating the poem to the photo, and vice verse, the possibilities of interpretation and impression are widened. This is an encounter with both forms of art in combination, the results of which surpasses either viewed by itself.